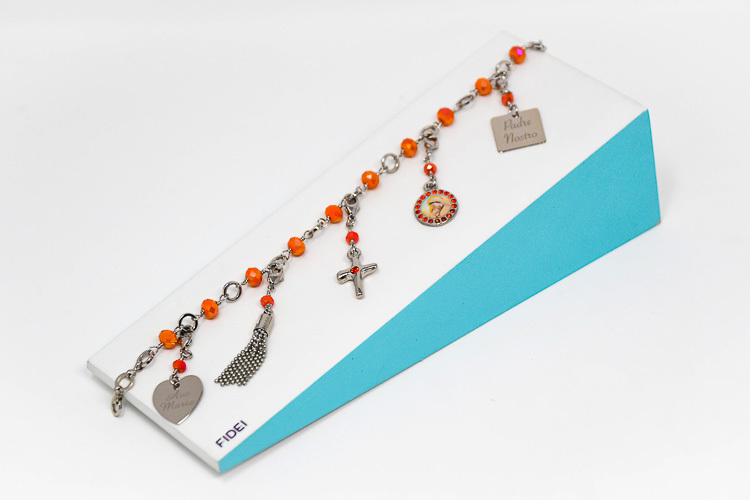 DIRECT FROM LOURDES - Silver Charm Bracelet with Orange Crystal Stones. Silver Charm Bracelet with Orange Crystal Stones. Fidei silver rhodium plated charm bracelet with orange crystal beads and crystal stones encrusted around 3 of the charms, this bracelet has 5 charms in total.